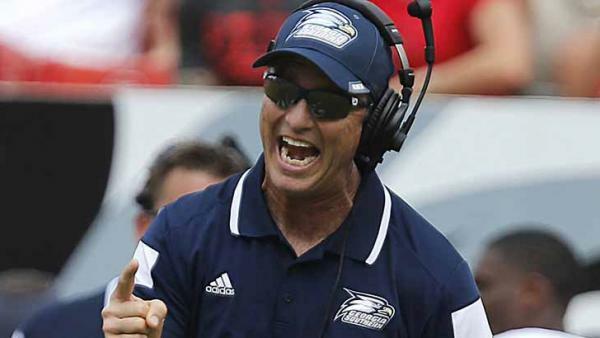 Shirts With Random Triangles: Is Georgia Southern's Willie Fritz interested in becoming Iowa State's next head coach? Georgia Southern is 7-3 in 2015, and on it's way to its first FCS bowl game. It won the Sun Belt Conference title in 2014, but was not allowed to go to a bowl game in its first year as an FCS-level school. Fritz is in his second year as head coach of Georgia Southern, and has a 16-6 record at the school. Iowa St. fired then head coach Paul Rhoads on Sunday, following a dismal 3-8 record.